As the marketing power of social media continues to evolve, so does our notion of influential thinkers and content makers. The last decade has experienced a shift in media influence from movie stars, models, and authors, to prolific social media personalities which the industry refers to as “influencers.” Take, for example, Yoga_Girl, shown above. She’s a devoted yoga teacher and co-founder of OneEight, an online health and wellness company. Oh, and did we mention her Instagram has 2 million organic followers? 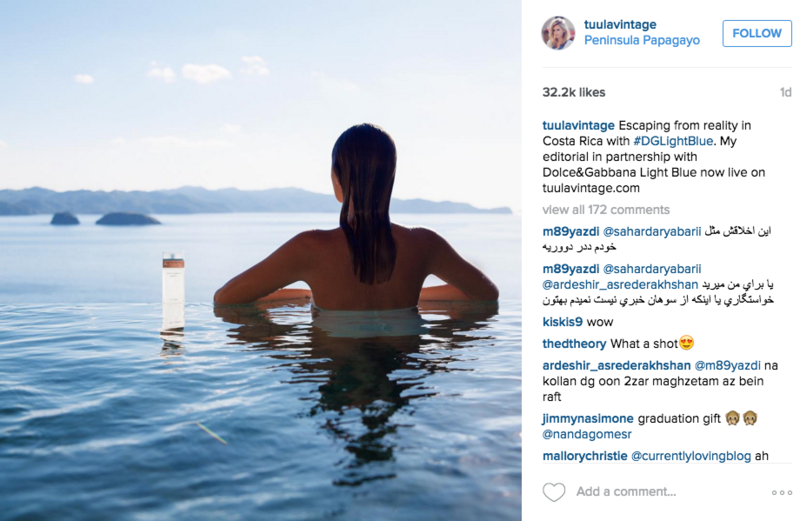 In a rapidly growing pool of influencers, business to business marketing is relying more on social media. But how do businesses choose who to work with? Here is Stencil’s list of top five social media influencers and a guide to understanding their tone and successful actions so you can decide if who you’re partnering up with meets the cut. Better known as Yoga_Girl, Swedish native Rachel Brathen has slowly been taking the wellness world of Instagram by storm. Her lifelong yoga practice and teaching style skyrocketed into a known brand as a result of her Instagram success. 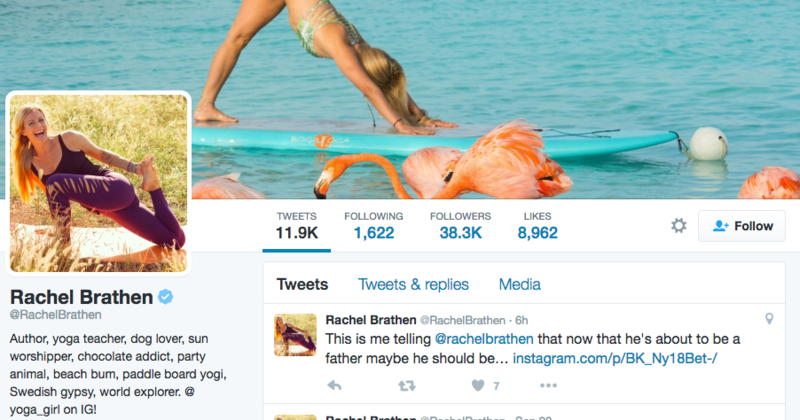 Loyal followers know exactly what to expect: clean beautiful images of yogas poses on a beach. Yes, its that simple. By consistently displaying the same thing over and over again, something as complex as a an enduring balance between mind and body can be turned into an enticing and reliable social media brand. Follow Brathen for an example of good brand recognition through Instagram. Eat 24 is Yelp’s answer to Grubhub, Seemless, and all the other online delivery services. While they not be as popular overall as their competitors, Eat 24 still pulls a lot of weight in one specific way: social media presence. 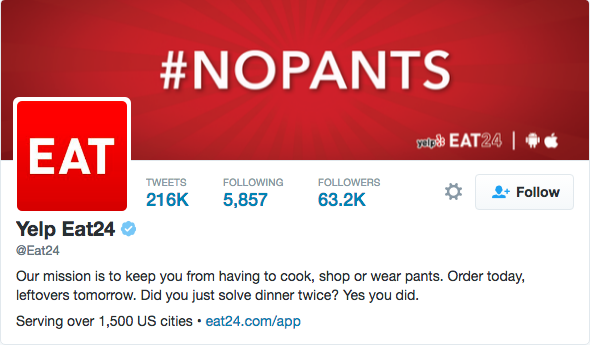 Eat 24’s target market is clearly understood by their consistently witty and identifiable brand voice. Most will notice this voice through Eat 24’s twitter which posts snarky GIFs, memes and one-liners in support of ordering take out as opposed to cooking at home. Eat 24 is delivery kitsch for the ordering class. Eat 24 is the jaded voice of the millennial generation. Follow for a good example of brand voice. Richard Branson is the highly successful chairman of the Virgin Group. Branson is an example of strong business leadership. One can see this quality in Branson’s twitter which displays frequent quotes and articles about endeavors. In this way, Branson is highly recognizable, and always seems to be having fun. Looking for inspiring source tweets for your social media? Branson is the perfect answer. For those unfamiliar, Ann Tran is an influential writer for Huffington Post. She’s also a respected branding and marketing strategist with a strong social media presence. 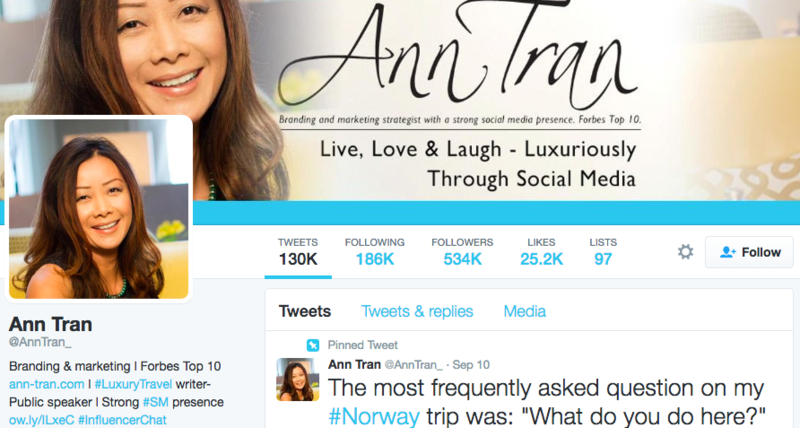 Tran has hit Forbes’ Top 10 and was first on their top 20 female social media users list of 2013. She’s great to follow for tips, suggestions and branding. B2B marketers love her, and her image is clear and direct. In his own words, Gary Vaynerchuck, CEO of @vaynermedia “builds businesses.” Vaynerchuck is our top pick for someone to follow because of his incredible grasp of social media. If you’re a social marketer and you want to know your industry, Vaynerchuck is the perfect influencer to study up with. Vaynerchuck is an exciting and insightful entrepreneur leading the forefront of social marketing, logo strategy, and rising video strategy. To see what we’re talking about, follow #AskGaryVee on social media.